Note that this schedule is subject to change and about the only thing we can promise is that the final schedule will be different. However flawed, the tentative schedule does offer insights into which layouts may only be offered in confict with each other and that ***MAY*** help some groups come to better decsions on their collective choices. Individuals within Groups MUST submit identical choices: we can't read your minds. Layouts with times noted in GREEN are BONUS sessions and do not conflict with or count against your regular op sessions. 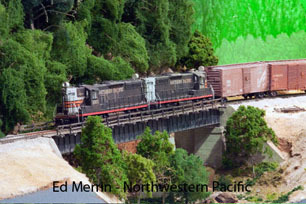 Nothing on this page changes the BayRails layout assignment process: you will still submit a list of the layouts you want in order of preference and that list along with your BayRails priority will determine your assignments. We start with the highest priority guest (determined by difficulty of getting here and time of registration) and give you the best available layout per your requests. After we've gone through the whole list (everyone gets a first round pick), we start over at the top until every guest has had their best three choices. Therefore you should fill out the priority list down to 10, and you should register as early as possible. Once assignments have been published (and people have negotiated carpools, etc.) we fill the dropouts by hand to minimize disruption. Note that groups traveling together will get a collective priority closer to the priority of the guest with the lowest priority in the group. Historically Otis McGee's Southern Pacific Shata Route and the Jack Burgess/Tony Thompson "two-fer" have "sold out" before the end of the first round. If you are interested in one of these sessions (and you'll only get one) be sure it is your first choice. 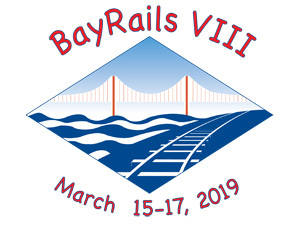 In the interest of fairness, we maintain a list of operators of the most popular layouts at recent BayRails (and other Bay Area events) so don't expect to get these if you ran them at or BayRails VI or VII. If you've requested one of these layouts as your first choice in the past and didn't get it, please note that in the comment box when you submit your registration and we'll try to accomodate you. Some session dates are probably wrong, found 2200-01-01 00:00:00 through 2019-03-17 09:30:00; is status parameter right?